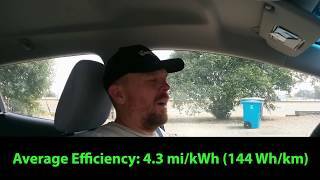 This is the round-trip efficiency numbers for the Bolt EV driving 75 mph. While these numbers are a little lower than I was expecting, they are within the expected range given the lower tire pressure and climate control usage. Also, the winds might have been more of a factor than I thought at the time. The A to B leg both mark a 50' elevation increase, yet they were the more efficient segments for both 56 mph and 75 mph. So the wind's effects weren't significant, but they probably are measurable. People were passing you like you were sitting still at 75mph! 70 is max here and I didn't realize there were places with significantly higher speed limits. What state are you in? This is California. We have 70 and 75 mph freeways here, but even semis will pass you at those speeds. 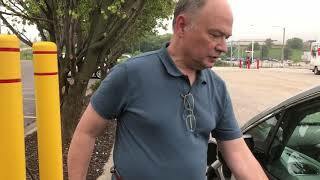 My car is an LT, so it doesn't have automatic braking. Do you mean Adaptive Cruise Control? 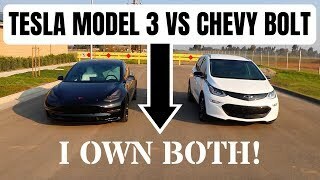 If so, the Bolt EV doesn't have that as an option yet, and no word whether it will be added for the 2019 model year. 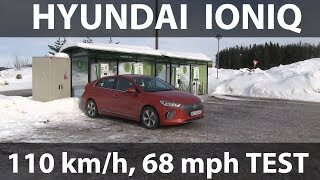 For anyone who missed it, you can compare numbers for a similar 56 and 75 mph test done by another Bolt owner here: https://www.youtube.com/watch?v=VsZCOEjs7M8. 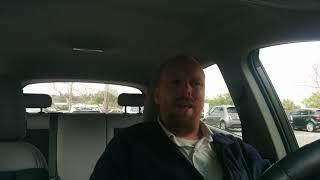 News Coulomb: I'm in the market for my first EV and enjoy watching your Bolt videos. Trying to learn as much as I can about the various models and have some quick questions. What was your usable battery capacity when you received the car? If it was around the advertised 60 kWh, then it seems to have degraded by about 6% over your 64000 miles of driving: 11.5 kWh/(0.788-0.584) = 56.37 kWh usable capacity before hitting 0% in that app. I wonder if your frequent quick charges have accelerated the loss. Do you normally use the hilltop reserve mode when not making long trips? Thanks. 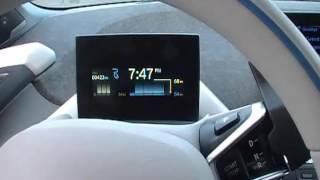 That initial 6% degradation seems to be unique to Tesla. The cars using prismatic cells don't seem to have that initial drop off. But the 2% in 60,000 miles might be right for my Bolt EV. Thanks. I did some more digging and found a large database of Tesla battery degradation data (https://electrek.co/2018/04/14/tesla-battery-degradation-data/#jp-carousel-65299). According to their data, most Teslas (model S and X) will degrade by 6% during their first 60K miles but begin to level off (only losing additional 2% in the next 60K miles) as the miles accumulate. Hopefully the Bolt follows a similar pattern. The usable capacity is very hard to calculate, and it varies even during the same battery charge. If you compare the energy usage when I did the 56 mph test, it would appear that my usable capacity was only 52-53 kWh. That was immediately before this test. When bringing up the estimated battery capacity in Torque Pro, the kWh usable has ranged from 57 kWh up to 59 kWh within just a few charge cycles. It goes up and down. I'm not sure there is an effective way to accurately test the degradation. If I had to guess, I might have seen 3% degradation by now, but I can't confirm that. 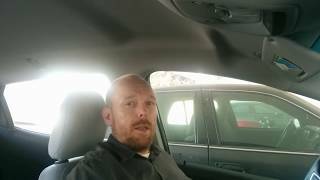 I should have asked you about the torque pro app before, do you have to have a devise plugged into the OBD2 port for the app to work? What is the devise if so? It's the Torque Pro app. You can download it, but it costs money. Also, it requires specific PIDs for the Bolt EV. I don't have the link handy for where to grab them or how to install them, but there's a Google sheet with instructions. 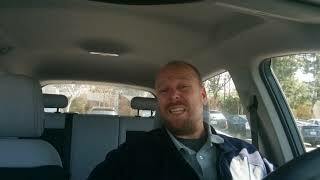 Hi NC, liked the video but a bit confused at time 14:20 when you said it's not the way you would typically drive. I know it's not the tire pressure you typically run at, but I don't follow why you drove any differently than you typically do or what that would entail. Can you explain? Sure. Even though I'll drive a lot at 75 mph, I rarely drive at only that speed. Because my trips are usually much, much longer, I'll have a mix of driving speeds that affect my overall efficiency. So, over the course of 500 miles, I might be driving 80% of the time at 75 mph. 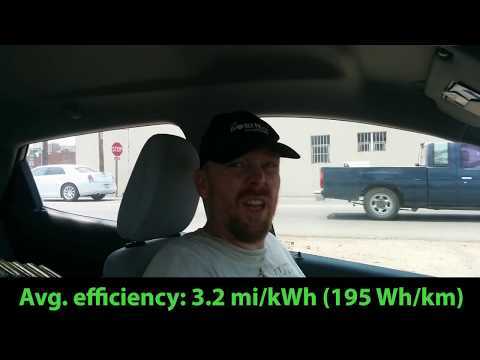 So my speed will vary, and my average efficiency is typically closer to 3.5-3.6 mi/kWh. On your return trip, you reset the trip meter at 31mph instead of zero 8:33. You should have come to a complete stop. 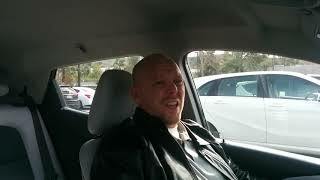 You number would have come close to bjørn. I should have, but I had traffic coming up behind me. To be fair, it was actually 23 mph when I reset. Regardless, that was the leg heading into the wind. Even if my total had been 3 mi/kWh (matching Bjorn's round trip), that was only one leg (the less efficient one). Either way, that's why I provided the total energy consumption versus miles was 3.19 mi/kWh. Essentially, it no difference to the overall average efficiency. Yes. We probably should have mapped this out a while ago, but not a lot of data was being shared. Hopefully, A Better Route Planner will help to start gathering it. I'd like to see 65, that's what we try to stick to. 75 is what most people drive around here, so this is a good test. Next time bring a microfiber towel with you so you can wipe that screen clean haha! 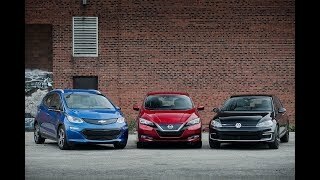 What do you think the value of the Bolt will be in the used market in the next 2-4 years? They're still out of my price range currently. Yeah, sorry about the ash. You should see the outside of the car. Something about getting evacuated from the largest wildfire in California history will do that. Would you include 4% used for AC in your description? How much was used for battery conditioning? I'll add it. There was no battery conditioning displayed. It could have been present, but it would be less than 1% of total energy used. I'd like to see mi/kWh at 62 MPH. Please? And if you can, something under 55 MPH like 45 MPH or 35 MPH? Thank you. 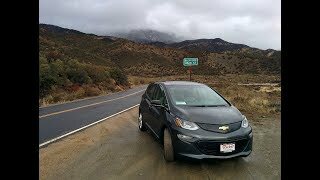 Chevy SparkEV average speeds which get to less than 50 mph really benefit the efficiency of the Bolt, since there is significantly less wind effect. An average of over 5 mi/kWh is easy to obtain at these speeds - especially with no AC operation. Nearly 6 mi/kWh is possible when driving about town - quite impressive! At some point. I have to be sensitive of time on these trips. 55 is the gold,,,, over you pay lol.. so whats the diff with sport mode on? does it change the steering at all?.. is the throttle more sensitive ? how much faster to 60 is it with it on? 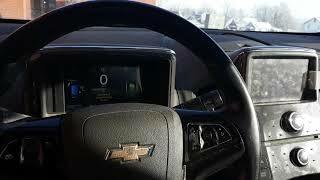 All Sport Mode does is increase accelerator pedal sensitivity and possibly adjusts the steering weight. All other numbers would stay the same. 65 mph is good compromise and you would have opportunities to draft behind trucks. 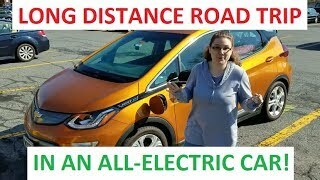 Yes, I think sticking close to 65 mph will also offer new Bolt EV drivers the most predictability because your efficiency at those speeds will be very similar to EPA estimated range. https://www.autoblog.com/2007/10/28/mythbusters-drafting-10-feet-behind-a-big-rig-will-improve-mile/ At 100 feet following distance MPG improvements were around 11%. That's about 6 car lengths. Even at a distance greater than 100 feet there would still be a fuel efficiency advantage to drafting. Most American drivers get 'bumper rush' and follow much closer than 100 feet. You have to get very close to the back of the truck to take any advantage of that, and it's also a good way to get a tailgating ticket. Also gives other drivers a better chance to pass you. Driving at the speed limit usually means other drivers will do the 'one mile per hour pass' which blocks the flow of traffic more than just being 5mph below the posted limit. 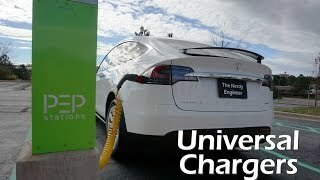 What percentage would you use when applying a given average MPH to get the expected range for charging? What I mean by that, using your 75 MPH rate, 3.2 * 60 = 192 potential miles. Would using 85% be a fair percentage? That is, I can expect to travel 162 miles between charges on a given trip traveling at 75 MPH? I know you sometimes go down to 3% but you have a very good feel for your Bolt having traveled 60k+ miles. Thank you. Again good advice and thank you. If I charge 30 min per stop and use the 15% to 70% approx. 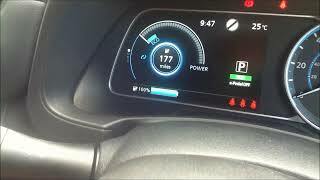 charge range which should work out to 120-140 miles between charges. And this is close to your 4 mi/kWh. cjd lv - I try to gauge travel energy usage starting at 4 mi/kWh, which is about the efficiency you will see at warm temperature speeds around 65-67 mph. This works out to round numbers when making calculations as well. Working between 10-15% SOC and about 70% SOC (charge rate slows down at about 70%) gives you a certain level of comfort at the bottom end if you are dealing with unknown chargers and locations. 60% x 60 kWh is 36 kwh of working range. At 4 mi/kWh, this works out to 36x4=144 miles. 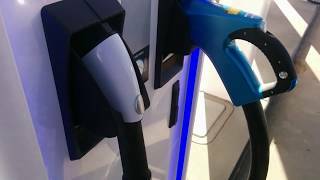 If chargers are frequent and seem to be working most of the time, you could put 5 to 10% more into the driving miles (adds 24 miles), but that leaves you with a small reserve (12 to 24 miles) if you encounter charger issues. 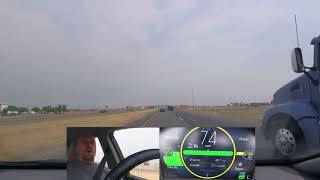 Obviously increasing driving speed will reduce the effective range - as demonstrated in this video. Thank you. Good advice for when I make my first trip and I need to stop and charge. Great question. When you account for mixed driving, things change. If your average speed is 75 mph, it means you likely spent time over 75 mph that would burn even more energy. For example, my average driving speeds are ~70 mph, and I typically see 3.5-3.6 mi/kWh. Regardless, I'd feel comfortable using 90-95% for the first leg (80-85% if starting with Hilltop Reserve Mode on). Subsequent legs, you'd want to use 55% for your baseline. I would recommend charging up to 65% and planning for a 10% buffer. That's how you'd maximize the Bolt EV's charging rates on a fast trip. 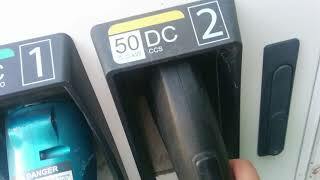 Basically, plan to go no farther than 100-120 miles between fast chargers. I think you should clean your screen! Pretty damn good, especially when compared to some of the early consumption numbers of the I-Pace. Yeah, I saw those. I can only hope those efficiencies can be improved with programming. 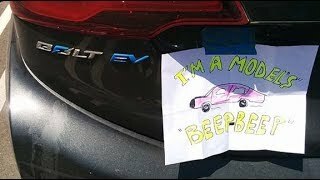 Will "Chevy Bolt EV: Efficiency At 74 mph or 119.091 km/hr" come out tomorrow? Don't keep me in suspense! Oh, it's on its way. 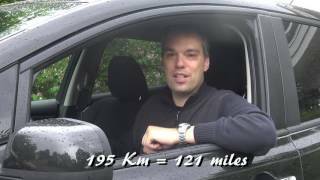 How far can you go in a Nissan Leaf 24 kWh?